While many love a good cup of tea, few people, however, know that nearly all teas start as leaves from the same species; the leaves of Camellia Sinensis, an evergreen plant native to China and India. While weather conditions and soil slightly impact the taste of the tea, the notable distinguishers of teas develop during the processing of the leaves. Oxidation–the process of drying, withering, rolling and heat treating leaves once they are plucked from plants–is what determines the type of tea the leaves will become. Green tea is a light, fragrant tea that hasn’t experienced the same oxidation process of darker teas. Instead, the leaves are immediately heated after being plucked, preventing withering and oxidizing. 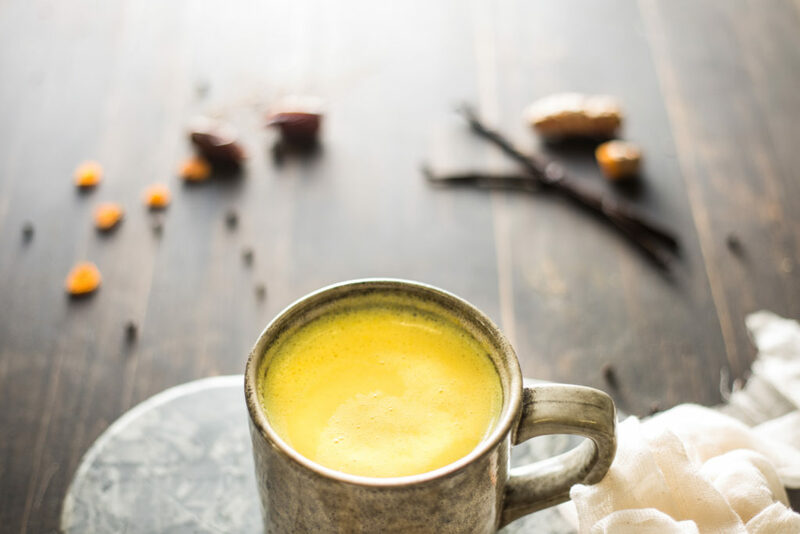 Skipping the oxidation process causes green tea to keep its natural dark green color, as well as a host of minerals, vitamins, like Vitamin C, and chlorophyll and tannins. It also contributes to its low caffeine contents (a mere 1 percent). 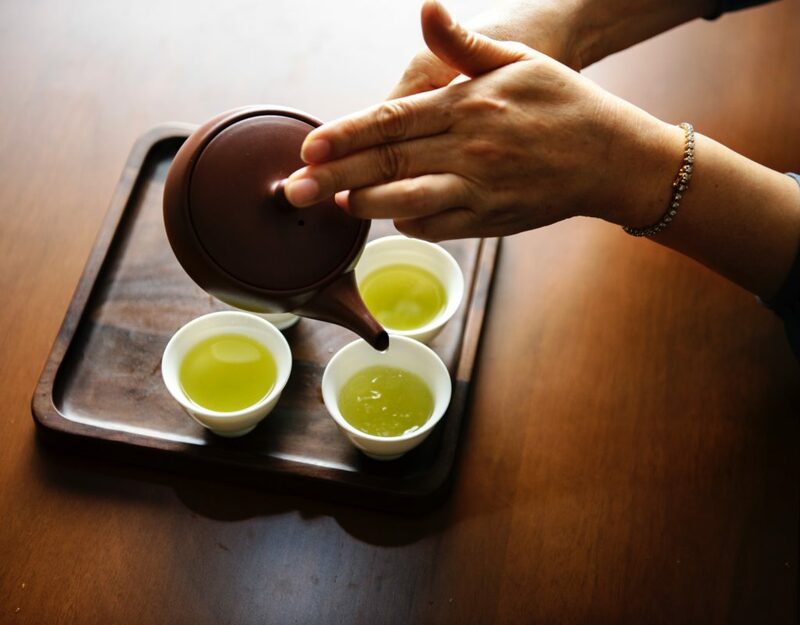 Green tea is linked to a number of health benefits including decreasing body fat, lowering total LDL cholesterol (which lowers the risk of cardiovascular disease), preventing the growth of bacteria and some viruses (which improves dental health and improving brain health). It is said to reduce the risk of both Alzheimer’s and Parkinson’s, and its antioxidants also reduce the risk of cancer. Predominately hailing from the Chinese province of Fujian, white teas are the least processed and least caffeinated of all teas. They contain about 10-15 milligrams of caffeine per 8 oz cup. The subtle sweetness of the tea and the delicate taste comes from the leaves not being rolled or crushed during the processing. 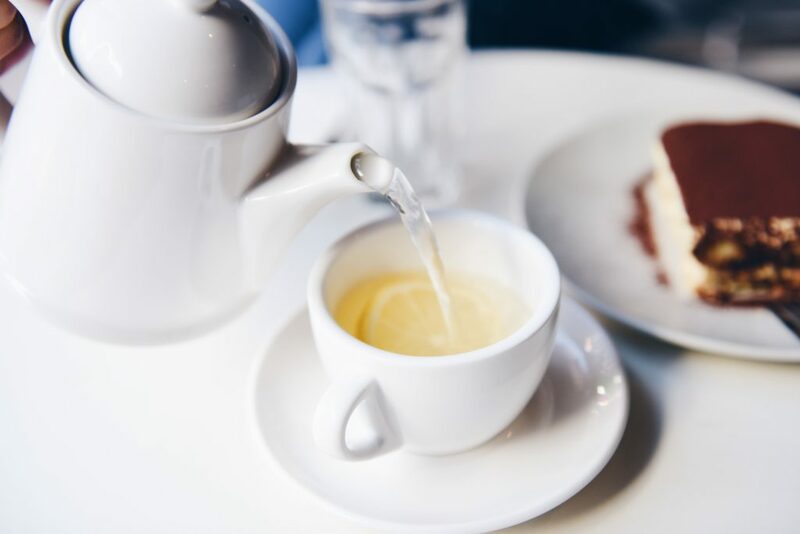 White teas are high in antioxidants and anti-aging properties. The tea contains polyphenols, which neutralize free radicals that damage the skin. It also is helpful in protecting the skin from the effects of ultraviolet light. In addition, this tea is great for the common cold or flu. White tea also helps people with diabetes by relieving excessive thirst, decreasing plasma glucose levels and increasing insulin secretion. The world’s most common tea, black teas are fully oxidized. The leaves are allowed to wither after being plucked and then rolled and crushed. This allows them to oxidize and causes the leaves to turn black. Next, they are heated in ovens to stop the oxidation process. Black teas, which are traditionally from China, India and Sri Lanka, brew from reddish brown to dark brown and contain about 40 to 60 milligrams of caffeine per 8 oz. cup. 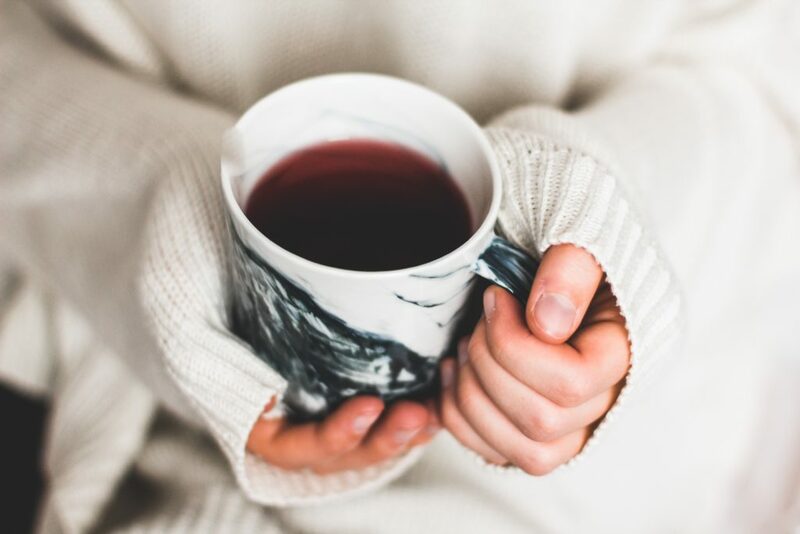 Black teas have both medicinal and health benefits including relieving asthma, treating diarrhea, preventing breast cancer, reducing cholesterol and improving digestion. This type of tea is rich in tannins and antioxidants known as polyphenols. It also reverses the abnormal functioning of blood vessels and expands air passages. Grown in China and Taiwan, oolong tea is a good middle ground for tea lovers as it is semi-oxidized, mid-way between black tea and green tea. Its oxidation levels vary between 8 percent and 80 percent. (If it’s lightly oxidized it will taste more more like a green tea.) It brings the best of both worlds with the body and complexity of black tea and the brightness and freshness of green tea. It is also half-way between the two types of teas in caffeine concentration and antioxidant levels, making oolong tea the healthiest option. Oolong tea is fragrant with a fruity flavor. It promotes healthy skin, good dental hygiene and exemplary bone health through its high level of antioxidants. It helps fight chronic illnesses like heart disease, inflammatory disorders and high cholesterol levels. It is also a nutrient heavy-weight, packed with vitamins and minerals like calcium, manganese, copper, carotin, selenium and potassium. Oolong’s polyphenol content helps control fat metabolism and reduce obesity. Studies also show oolong tea is great for reducing stress and improving mental health by improving performance and alertness. These aged and naturally fermented teas are known for their medical wonders from curing hangovers to lowering cholesterol. The older the tea, the better the flavor. The naturally fermented dark tea contains about 30–40 milligrams of caffeine per 8 oz cup. 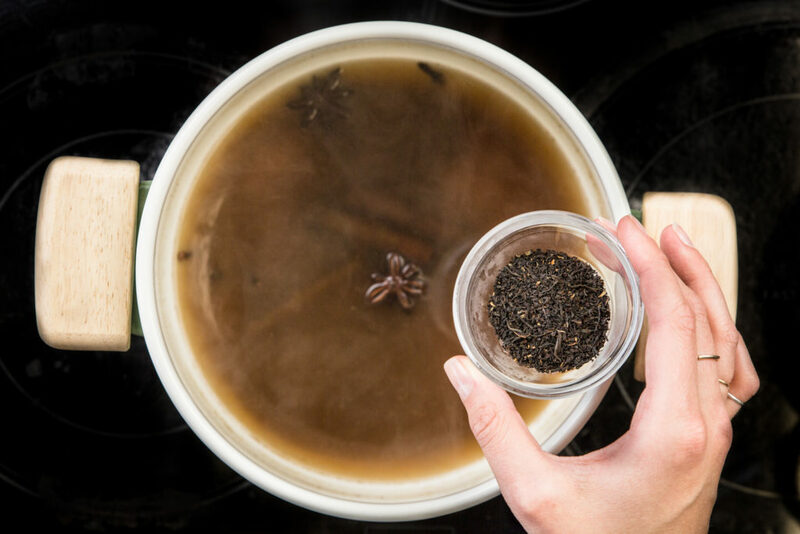 Known throughout China for its medicinal benefits, Pu’erh tea is very smooth in taste and can be even darker than black teas. The sweet smelling leaves are reminiscent of autumn leaves. Pu’erh tea works to reduce cholesterol and cuts through grease. It is known for lowering triglyceride and cholesterol levels in the body, as well as aiding in the process of digestion. Pu’erh also has high antioxidant levels that make it useful in treating tumors.